Alabama Crimson Tide There are 81 products. Make sure everyone knows you're the greatest Alabama Crimson Tide fan around! 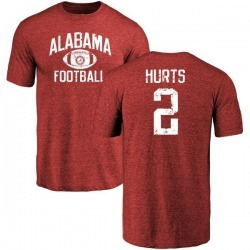 This Youth Jalen Hurts Alabama Crimson Tide Football Logo T-Shirt - Crimson is just the Alabama Crimson Tide item to do it. Your die-hard Alabama Crimson Tide dedication cannot be beat! 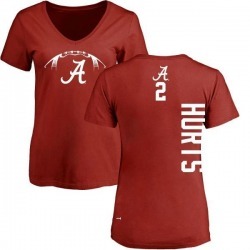 Let everyone know your pride is #1 by sporting Women's Jalen Hurts Alabama Crimson Tide Distressed Football Tri-Blend V-Neck T-Shirt - Crimson for game day. Sporting this truly unique look to the next game will definitely mark you has a huge fan! Your die-hard Alabama Crimson Tide dedication cannot be beat! 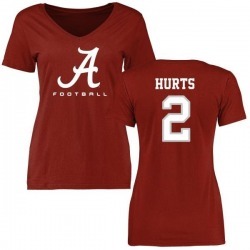 Let everyone know your pride is #1 by sporting Women's Jalen Hurts Alabama Crimson Tide Football Slim Fit T-Shirt - Crimson for game day. Sporting this truly unique look to the next game will definitely mark you has a huge fan! Your die-hard Alabama Crimson Tide dedication cannot be beat! 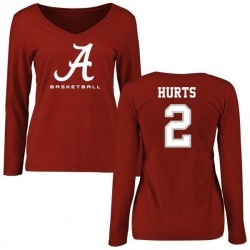 Let everyone know your pride is #1 by sporting Women's Jalen Hurts Alabama Crimson Tide Basketball Slim Fit Long Sleeve T-Shirt - Crimson for game day. Sporting this truly unique look to the next game will definitely mark you has a huge fan! Your die-hard Alabama Crimson Tide dedication cannot be beat! 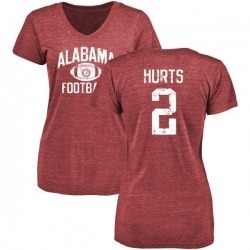 Let everyone know your pride is #1 by sporting Women's Jalen Hurts Alabama Crimson Tide Football Backer V-Neck T-Shirt - Crimson for game day. Sporting this truly unique look to the next game will definitely mark you has a huge fan! 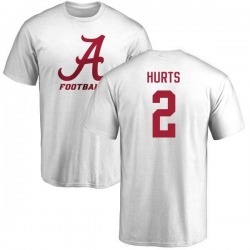 Make sure everyone knows you're the greatest Alabama Crimson Tide fan around! This Youth Calvin Ridley Alabama Crimson Tide Distressed Football Tri-Blend T-Shirt - Crimson is just the Alabama Crimson Tide item to do it. 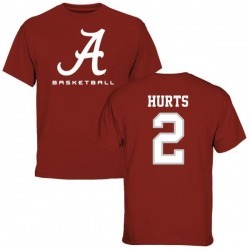 Make sure everyone knows you're the greatest Alabama Crimson Tide fan around! 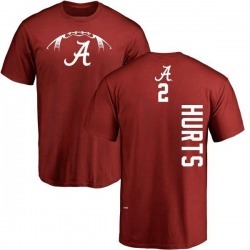 This Youth Jalen Hurts Alabama Crimson Tide Basketball Short Sleeve T-Shirt - Crimson is just the Alabama Crimson Tide item to do it.